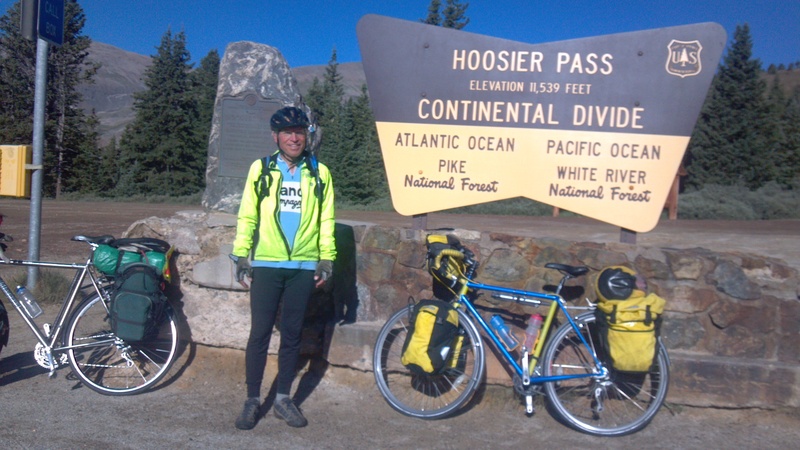 July 18th, 2012: At the top of the highest pass on th TransAm route. Skip yet again rode the whole thing and I walked a little way. I don’t know whether to blame the early hour, the altitude, the hairpin turns, the grade, or the traffic – or to just admit that Skip will always win! Coming down the pass which was a lot more fun than going up it! Hey, you both got to the top!!! I myself might have taken a taxi…. Keep at it…victory can still be yours! It’s tiring just thinking about biking up to 11,539 feet. Really enjoy following Skip and your cross-country bike journey. I hope the slow climb has gotten you somewhat acclimated. Spectacular scenery and cool people your reward for such hard work. I remember not-enough-air from trying to push-start a car at 14,000′, so I think biking at 11,000 is amazing. Thanks for sharing it with us. Does that mean it’s all downhill from here? 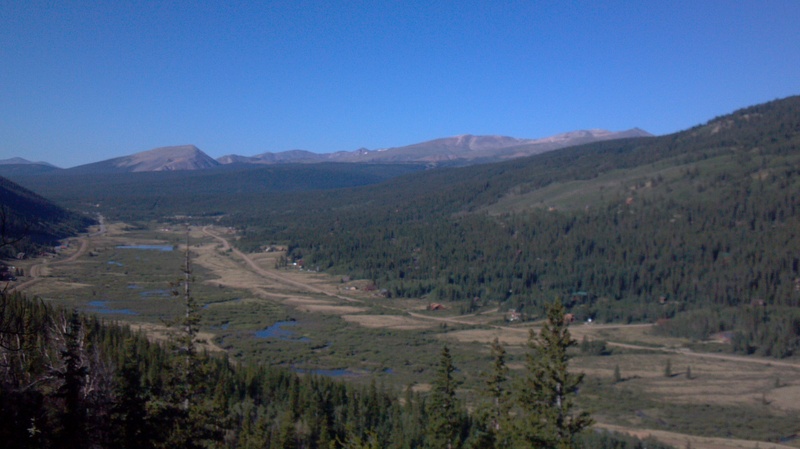 Best photo I’ve ever seen of the continental divide–amazing! Still enjoying your trip across America with you two!